PLAY is an Important Part to Children’s Learning - Discover the world through fascinating stories. Struggling to get your children to do their homework or to get them reading? What’s the top secret to really getting your children to learn and read more? Simple- PLAYTIME! You may be thinking how does playtime got to do with your children’s learning and development, but playtime is the all-time factor that really moves children. Playtime really does contribute towards your child’s learning and development. It is one of the daily activities that keep them lively and happy! Remember, the younger children are, the more practical they prefer to be. Children love to be PRACTICAL! They want VISUALS, SOUNDS, MUSIC, COLOURS and lots of MOVEMENT. Therefore it is ESSENTIAL you incorporate play into your child’s learning activities from their school homework to reading. Reading is an excellent daily activity that you can easily incorporate play into with your children to get them to love reading more. One way you can truly do this is to make reading more of a GAME and treat each story like an exciting adventure for your children to join along and so approach reading in the most enthusiastic and exciting way to your children– Be mysterious, be exciting, be curious, your children will draw in. Also set up mini games or short fun activities for children that involve some aspect of learning such as reading, spelling, educational quizzes or even math games to recap on their newly learned knowledge. Be creative and experimental yourself whilst setting up these activities. Make reading a game too. Set mini targets or rewards for your children to have once they have read a certain number of pages. Children LOVE to be rewarded and they love winning. They will always win when it’s reading time! Nowadays in our technological age, we are very lucky to be offered a number of learning and reading apps introduced to us that can save us a lot of time to set up that fun stimulating learning environment for our children. Reading apps have a number of built in features like quizzes, educational games, virtual rewards and a library of children books all in one go. With added colours, sounds, pictures, animations and movements all these add up to help make the reading experience more engaging, attractive and FUN to children. Speaking of attractive and enriching reading apps don’t forget to check our Cheekyheads reading app- your ultimate child’s e-learning platform created to help boost your child’s reading and literacy skills with its series of simple stories, educational quizzes, an easy visual encyclopaedia and rewards badges to be won! See www.cheekyheads.com to try the app out yourself. Remember, YOU as a parent or a teacher decide how your children/pupils see reading and learning. 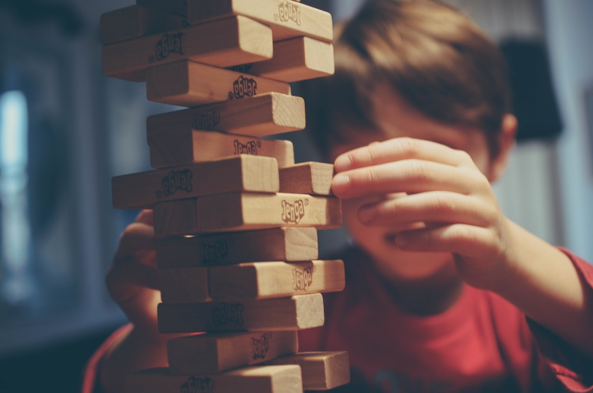 If you see learning as an exciting game, your children too will adapt a fun approach and will have this eagerness to learn more and so that is why it is important to incorporate PLAY into learning. So with appealing layouts and built in learning features and short stories laid out in a simple appealing form with such virtual rewards to be won, reading apps do incorporate that element of play in them to get children more engaged with reading. Overall, whether you use technological devices with learning/reading apps or not, remember to develop a practical, fun and engaging approach when it comes to creating new learning activities or even supporting your children with their homework, because when you incorporate play into your children’s learning habits not only they will enjoy learning and pick up new knowledge easily but you will BOTH spend some good quality family time together too. WIN/WIN! Sign up to our monthly BLOG for even more tips, guidance and inspiration on reading, technology and learning tips for your children!